Sometimes you'll quote a Contact and the quote will never convert to a sale. 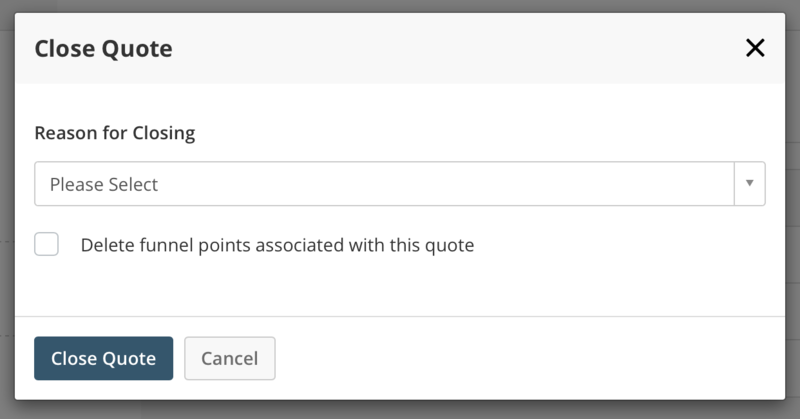 If this happens you don't want the quote sitting as 'open' in your quotes module so you need to close it. 1. Navigate to Quotes and view the quote (by clicking on the Quote Number in the Quotes List). 2. Click on the Actions button and select Close Quote. 3. You'll then get a window pop up asking you to confirm the reason for closing the quote. 5. Choose your quote close reason, choose whether you would like these points deleted, and click Save. If you want to add another reason to close the quote, you can do that over in Quote Settings (found under the Money item in the sub nav. 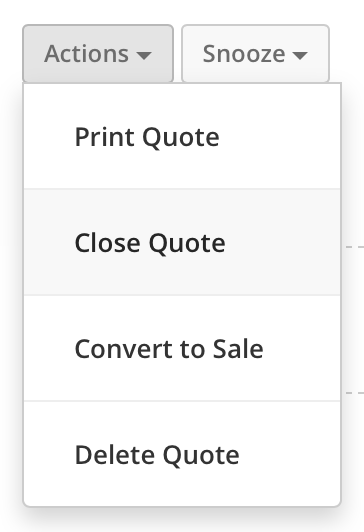 Scroll down to the bottom of your page to the Reasons for Closing a Quote data grid and you can add a new one there by clicking on the Add a Reason button and filling out the simple form that slides in. As well as being able to Close a Quote, you can also Delete a Quote which will remove all record of that Quote from your Campus Account.